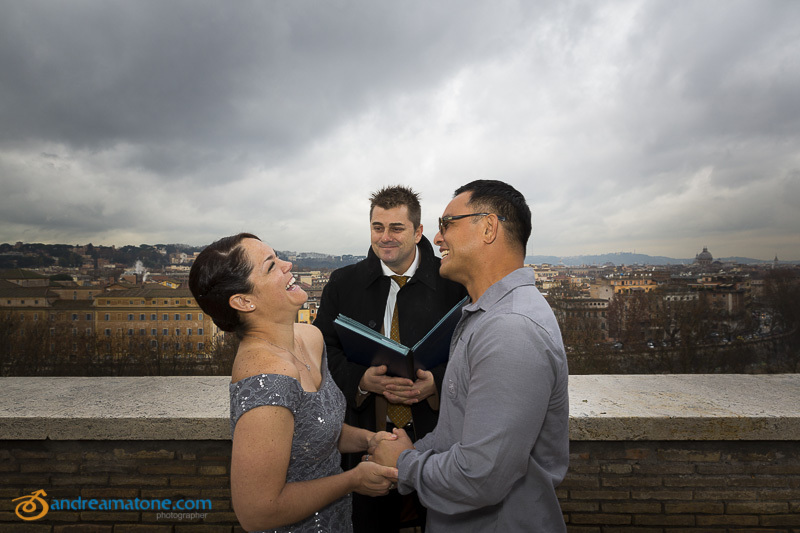 The wedding vows renewal was to take place on the terrace of Giardino degli Aranci in Rome. Overlooking the Roman rooftops. And it did and it was a wonderful celebration carried out by a very inspired Celebrant. The was some drama in the sky but it didn’t rain. Actually it stopped raining as soon as we got started. After the renewal we took some photographs in around the Park. 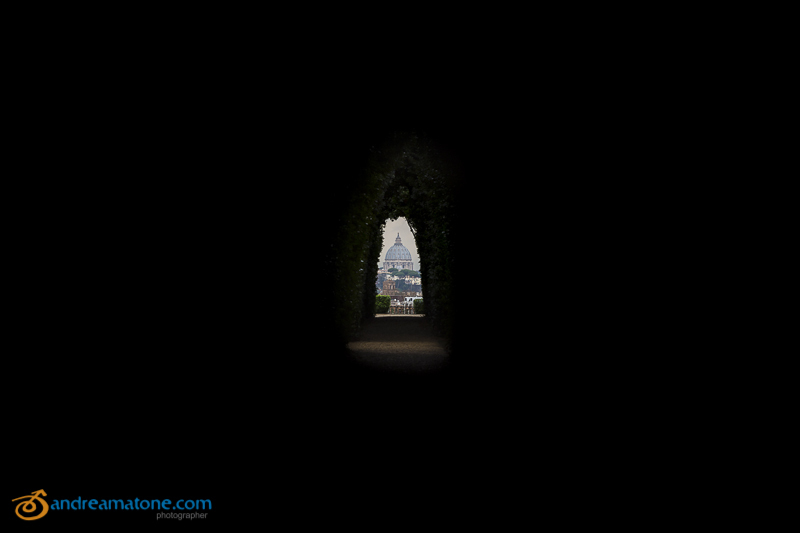 By the water fountain and looking through the Aventine keyhole which provides a very well framed view of Saint Peter’s dome in the Vatican. 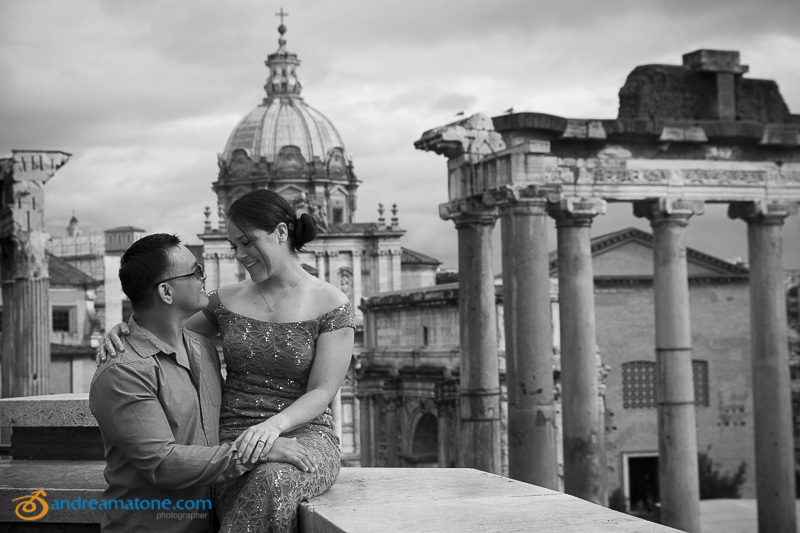 We then headed by car to Piazza del Campidoglio with such wonderful view of the Roman Forum from above. 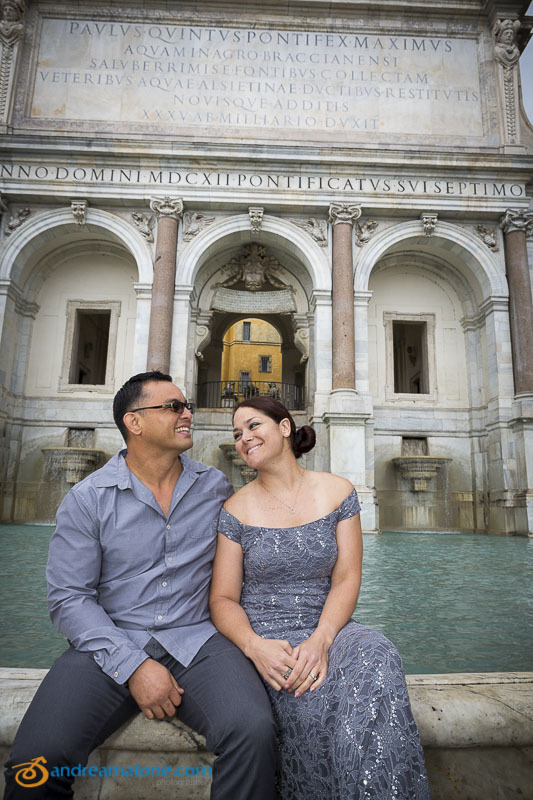 The Piazza offers a wide array of photographic options so we spent some time here getting some nice wedding photos. 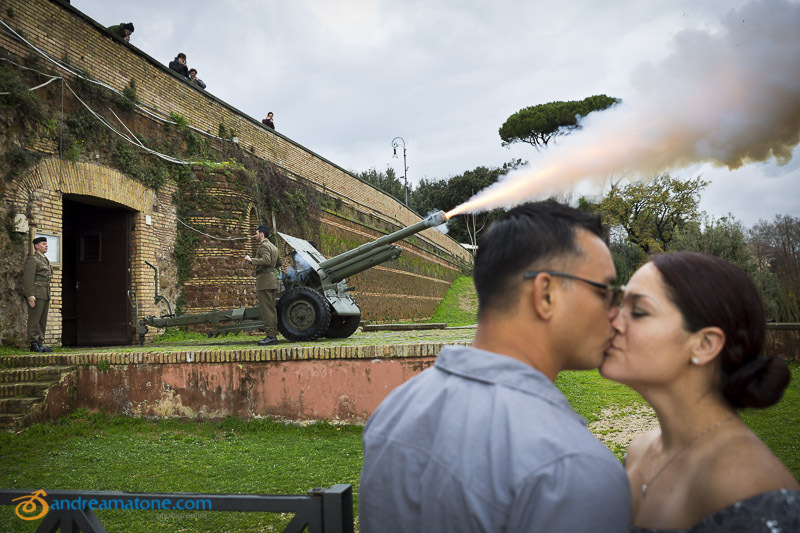 Then it was off to the Gianicolo water fountain but not before catching the canon fire a dud at noon princely. This was a truly wonderful experience. Thank you! Ok so this is us. 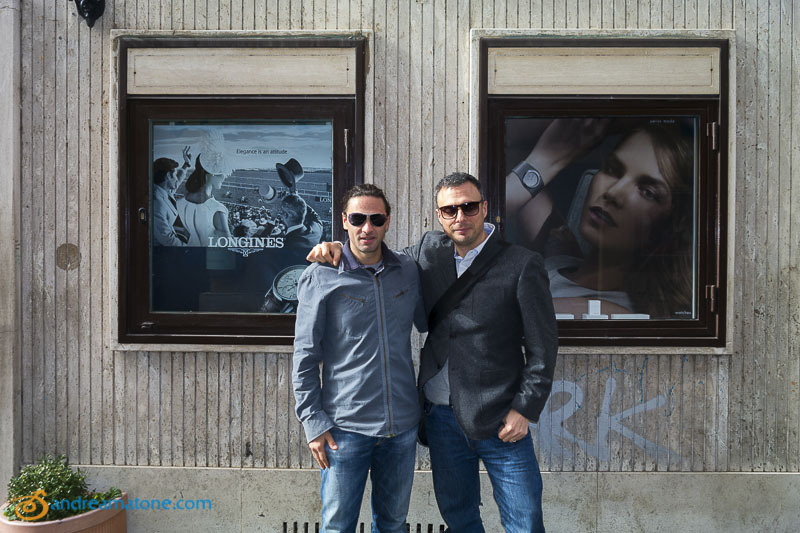 That is the Driver [Left] and the Photographer [Right]. You can find information on me just below or throughout this website. 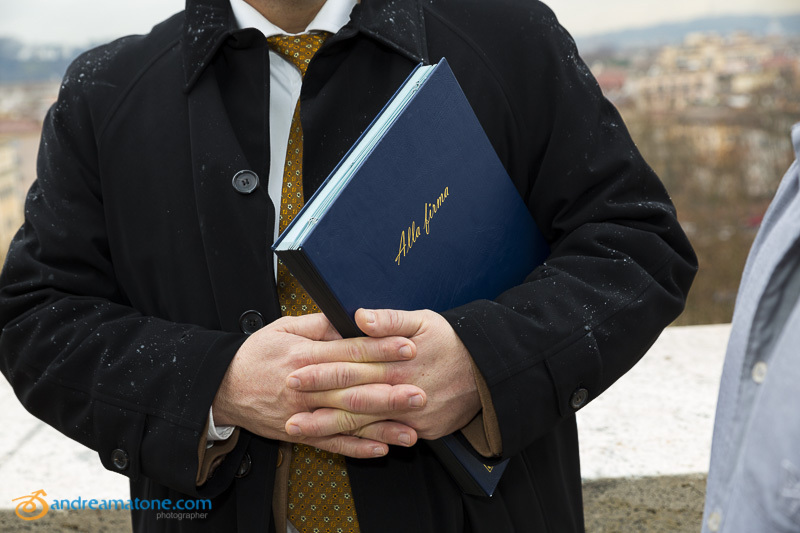 As per the driver you can read all about him on the About page of WheretoRome. 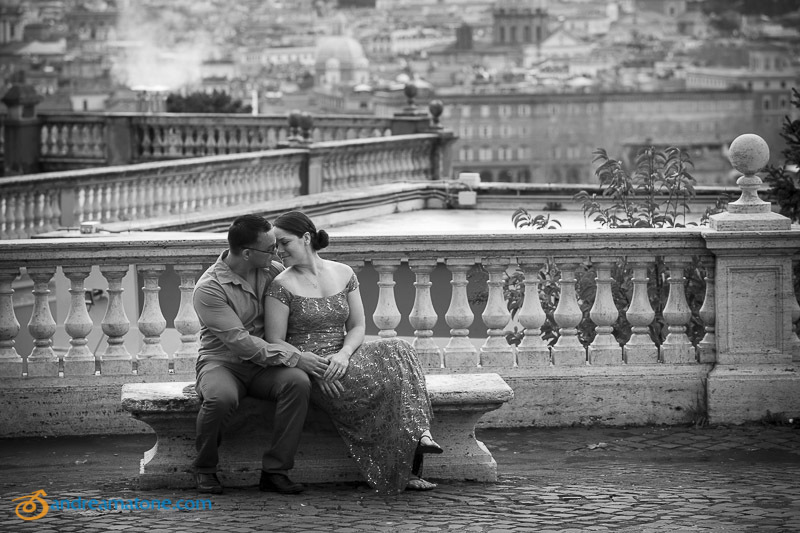 More location ideas in Rome. 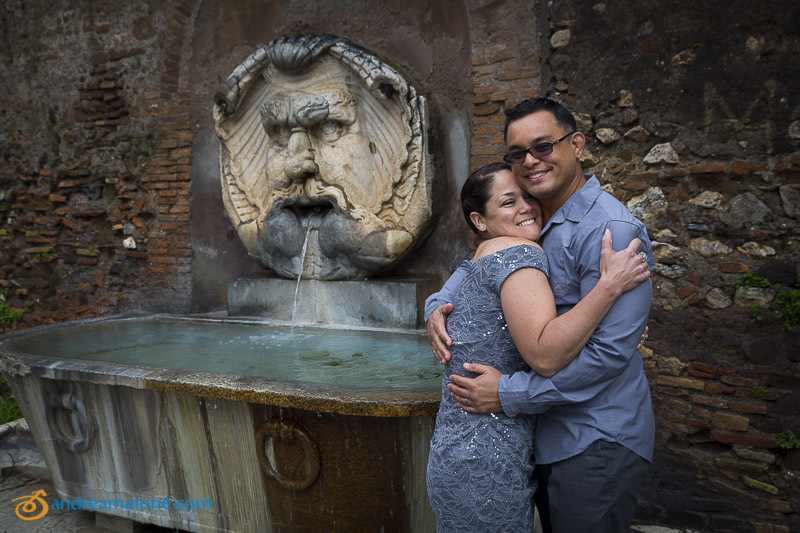 A blog post containing pictures of a marriage vow renewal celebrated at a beautiful Roman garden. With a sweeping view of the rooftops. Then a car ride around to capture images of this wonderful celebration.